According to the analysis, permits are spread throughout the county, but certain cities — including Huntington Beach, Newport Beach and Yorba Linda — have a higher concentration of licensees. 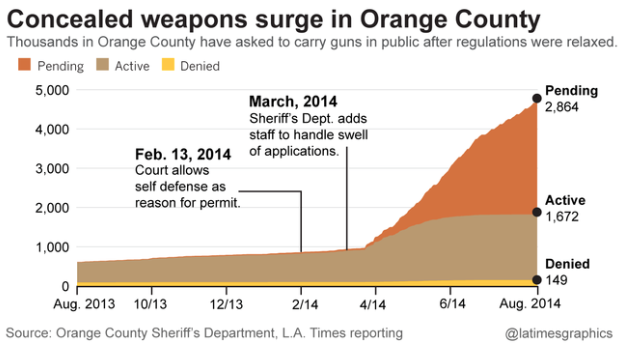 Others, including Santa Ana and Garden Grove, have had much fewer approved permits. . . .
Not to surprisingly, giving the training costs to get a permit, it is the well-to-do areas of the county that are getting the permits.